Education - STAND UP TO STIGMA MENTAL HEALTH PEER SUPPORT GROUPS - Albuquerque, New Mexico - Depression Bipolar Schizophrenia Anxiety etc. 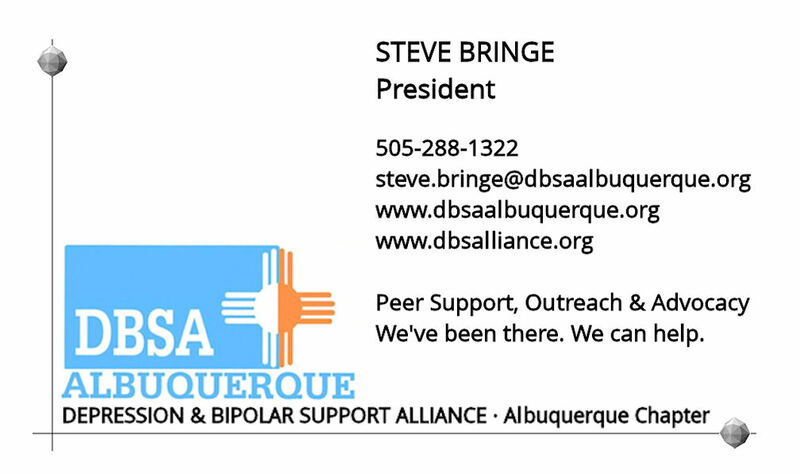 In addition to our weekly peer support groups, DBSA Albuquerque offers free educational brochures that you may download below. You’ve Just Been Diagnosed… What Now?